The place has an aura of mystery for a few reasons. First, it looks like the landscape of some Galactic pit stop for Jedi Knights. 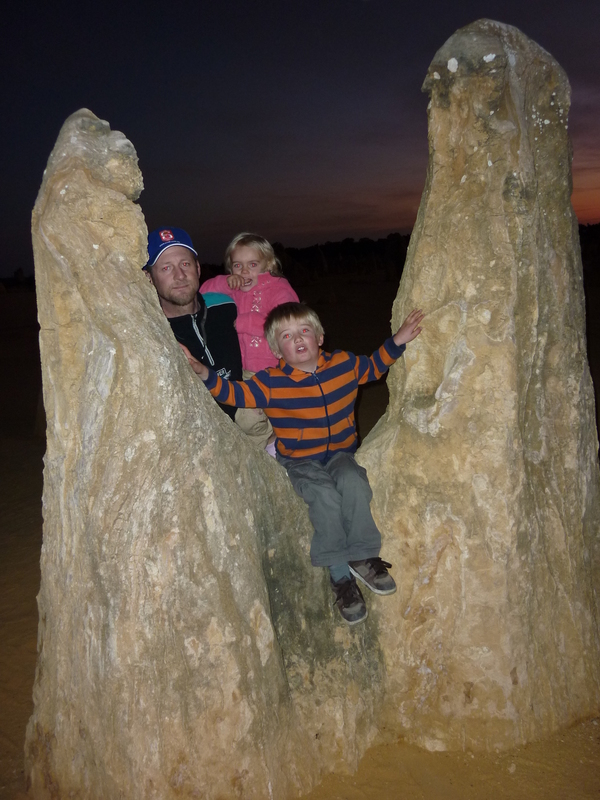 Second, scientists don’t know exactly how these limestone formations came to be. 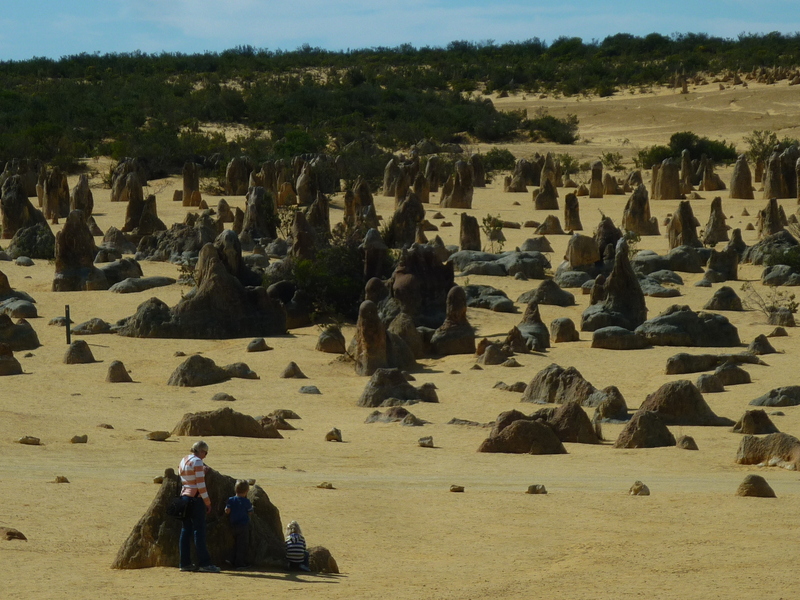 Geologists have determined that the Pinnacles consist of lime loaded sand created from crushed sea shells. The main theory is that, over time, the wind eroded the sand into the resulting pillars. Whatever the explanation, it’s easy to accept. It’s in Australia where so many inexplicable things seem to happen. 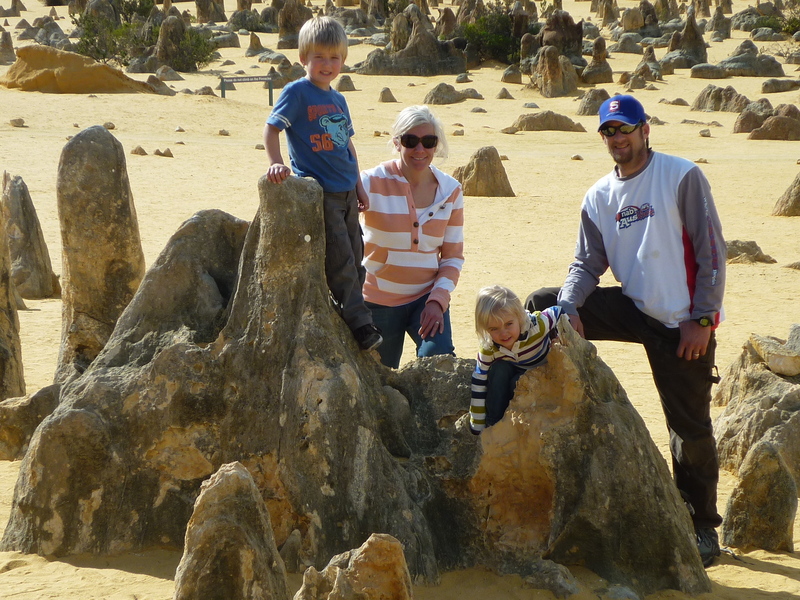 At any rate, The Pinnacles Desert is a great place to visit, especially with kids, because you can play a serious game of hide and seek. Kurt, Eddie, Kasey and I played at night with our caravan headlights illuminating the Pinnacles. We even returned the next day because it was so much fun, and plus, we wanted to see the Bugles in the daylight. Hide and seek among the Pinnacles works well, by the way, when children are hiding behind these objects. You can usually hear kids or at least call out to find them. Clearly, this is not the case with a purse, which is what I left behind a Pinnacle. We had taken a family photo by a nice set of pillars, and I very unwisely put my purse on the ground. About 45 minutes later, I realized my purse was gone. “What the ___ had I done?” I broke the news to Kurt. He just shook his head. “Can you help me find it?” The hysteria building in my voice only made him more annoyed. 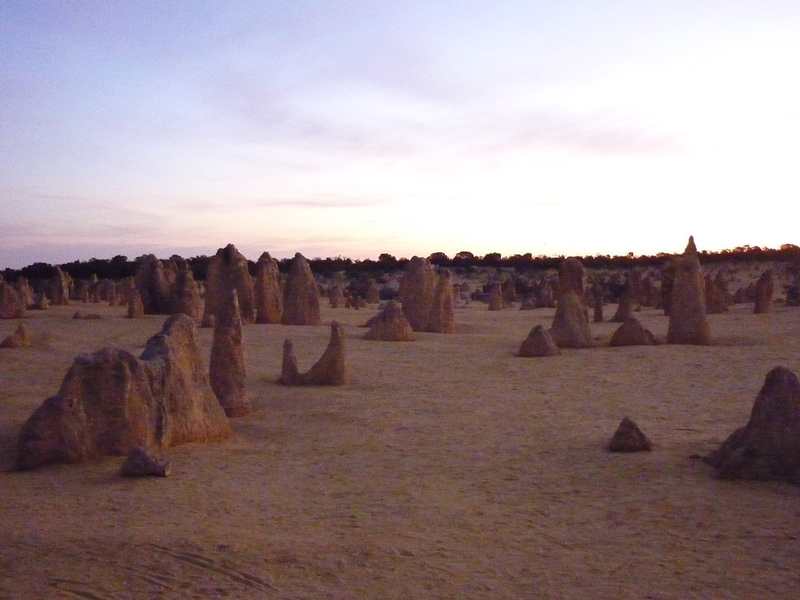 I started running and looking behind random Pinnacles. EVERYTHING was in my purse including our credit cards, debit card, passports, divers licenses, $200 in cash. My actions definitely put me in the running for the “Dumbest Traveler” title. “Well I could have told you that,” I heard a voice behind me say. I turned around to see a man, who had a large camera hanging around his neck, standing near the entrance. His tone basically implied that I was a total idiot. My first thought was, “Well, WHY didn’t you tell me, buddy?” since, surely, my desperation had been pretty clear. However, at that moment, I really couldn’t argue his point. The fateful photo. My purse is on the ground somewhere. 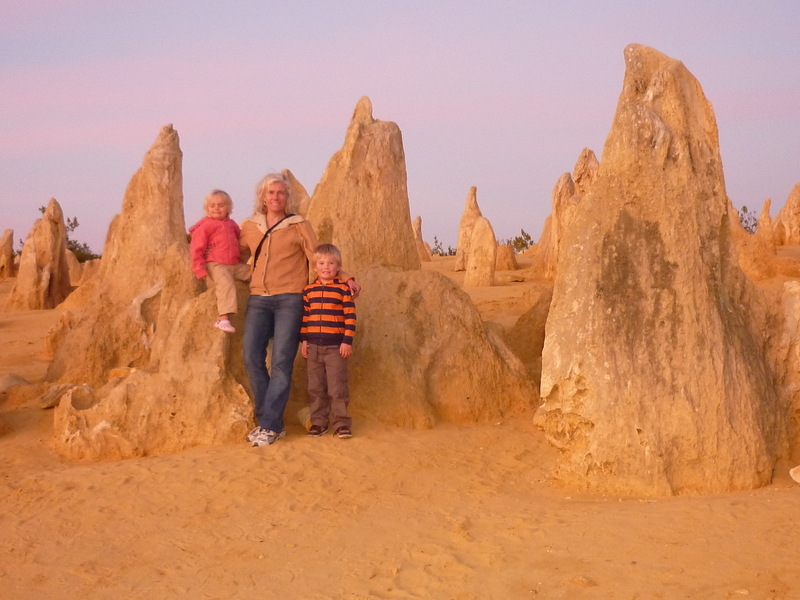 This entry was posted in Australia, Family Travel, Travel and tagged dumb traveler award, hide and seek, Losing a purse, The Pinnacles Desert, travel misadventure, Travel oops, traveling with kids, Western Australia by stephglaser. Bookmark the permalink.